Heylos to lovely moms, if at all this long weekend you are not planning to go for a trip, then we have amazing weekend events for moms and kids coming. You may plan to watch Gandhi movie / documentary being broadcasted on TV channels or you can plan a nice play date with mum and kids. As most of the kids would have done with their exams, hence I believe now the moms will have permission relax, isn't? So below are few hand-picked events to look forward to this weekend. Many of you would be thrilled to have a long weekend at very beginning of this month. 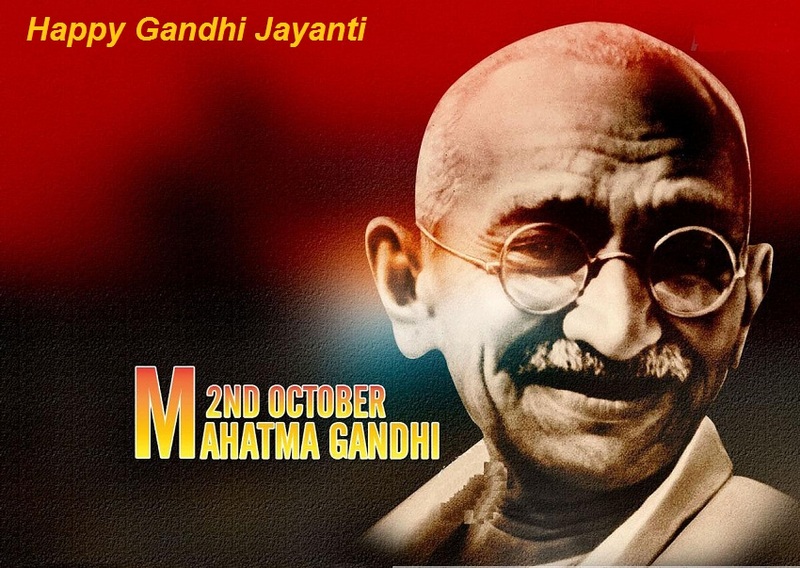 But don't forget to celebrate Gandhi Jayanti on 2nd October. 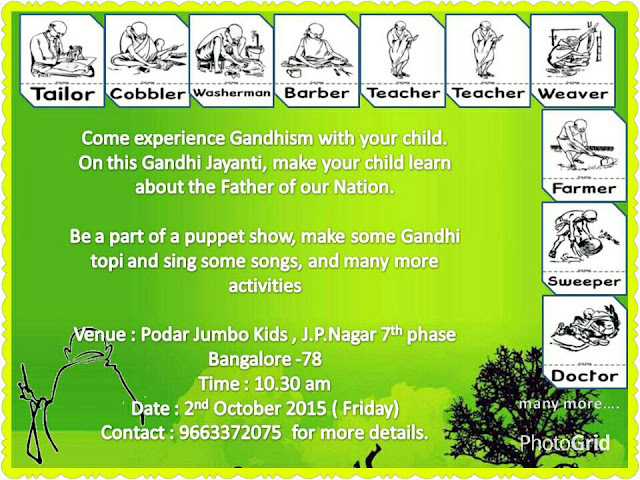 Spend some time with your kids telling them the childhood stories of Gandhiji ( Father of Nation). Moreover you may also experience some Gandhism with your child at Podar Jumbo Kids with puppet show, DIY Gandhi Topi, songs and many more acivities. As I promised that we also have some special things for lovely moms out there. 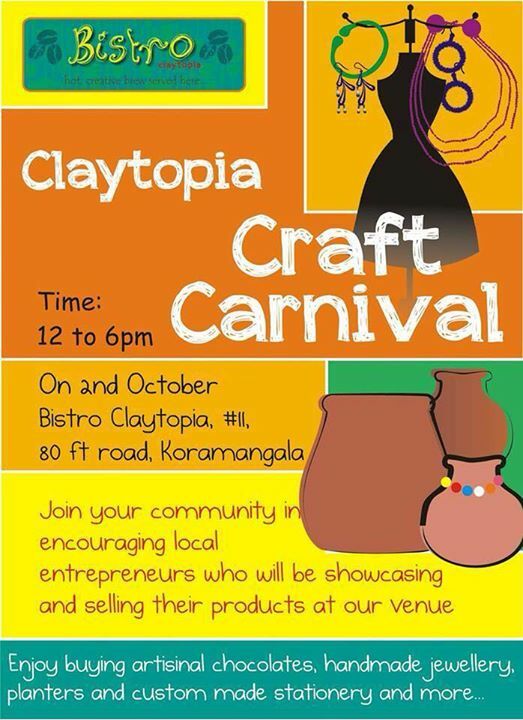 So for all koramangala moms in and around you will have fun exploring and shopping at Craft Carnival at Claytopia, Koramangala. 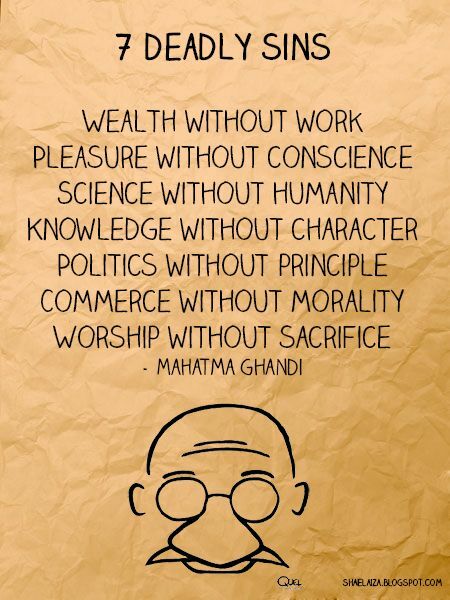 It will be amazing to celebrate Gandhi Jayanti by supporting th elocal community of entrepreneurs and artisans. You have more than one reason to celebrate freedom this long weekend. 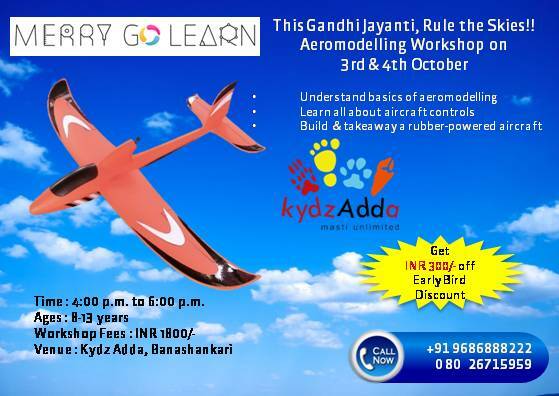 Rule the skies with the Aeromodelling workshop at KydzAdda. Make your own aircraft and takeaway home! 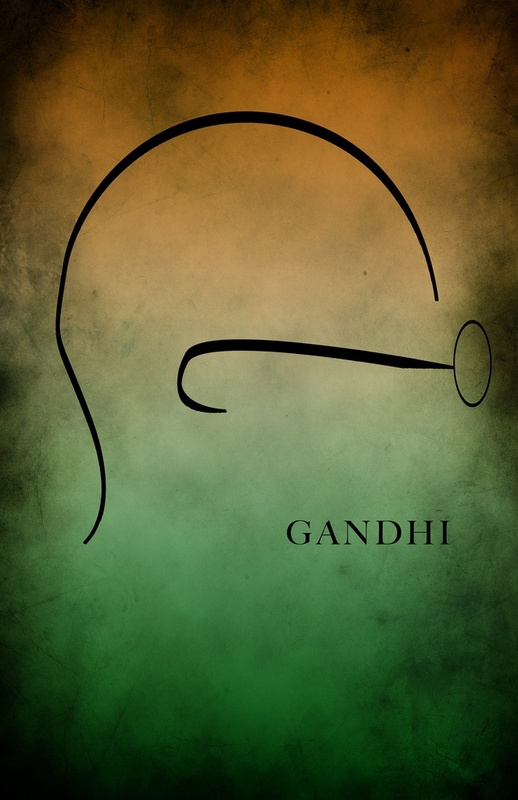 Express your creativity with the freedom of light, colour and smell. Make some DIY candles like red-coral candles, cappuccino candle or scented candles. 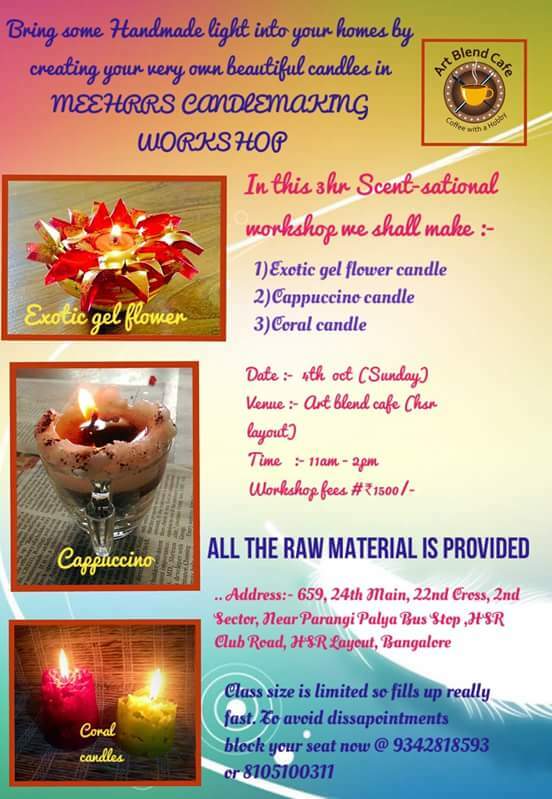 Let your child explore the art of candle making this weekend at Art Blend Cafe.